Welcome passerby with an invigorating snack. 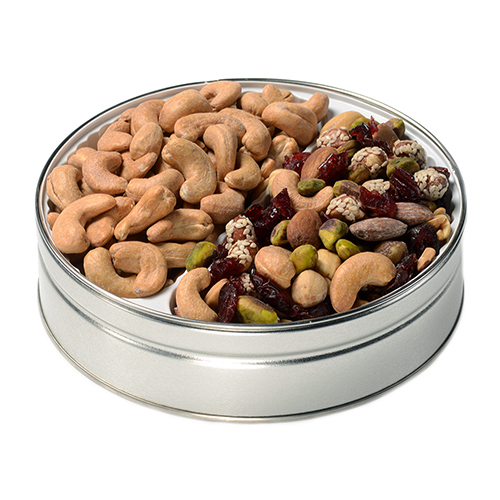 Hand-roasted Fastachi Salted Cashews and our signature Cranberry Nut Mix delivered fresh to you or someone of your choosing. One bite and all will be taken in by the one-of-a-kind roasting recipe. 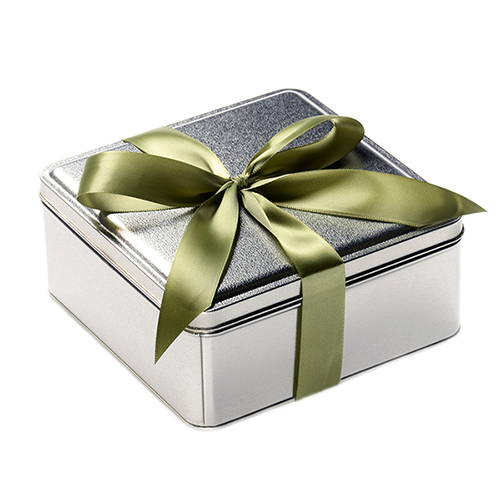 Matte silver gift tin is the ideal casual, self serve centerpiece. gift dimensions 6" x 6"x 2¾"
I sent a container of nuts to someone who was very happy to receive them. 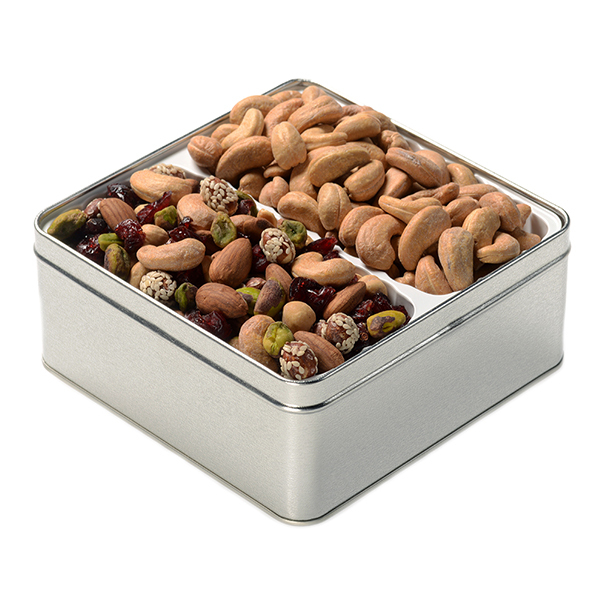 She and I have been fans of your products for several years. Everything has always been fresh and wonderful. 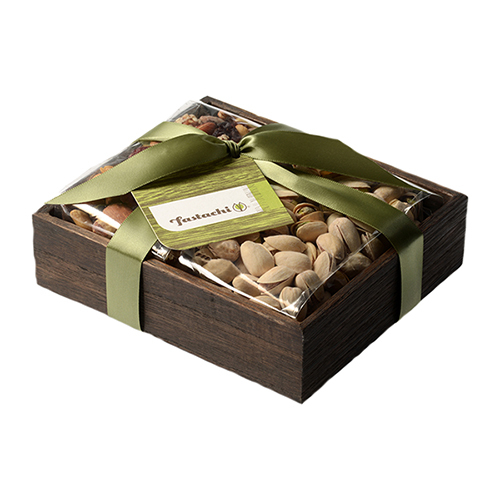 The perfect gift for host, co-worker, friend, family to show appreciation. 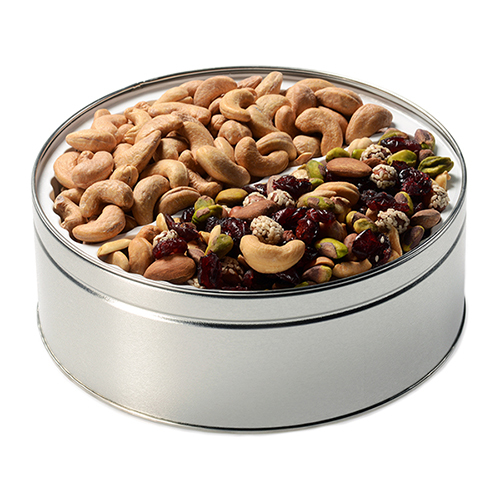 Delicious nuts and beautifully wrapped tin box! You can't beat the price and quality of this arrangement!! 5 STAR!